Positioned in a sought after area with direct access to all major services with cycle/walkways to shops, University, hospitals and Jesmond park. This is a five bedroom brick and tile home with an external rumpus/storage room, granny flat potential and rear garage. Living areas in this quality property are open plan with the kitchen area being the hub of the home. 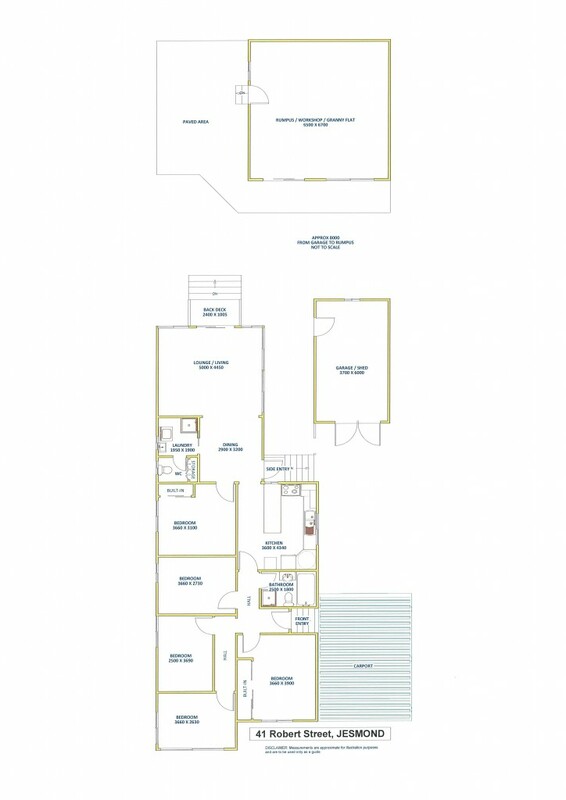 In the kitchen you will find a large breakfast bar, electric cooking facilities plus ample cupboard space with dual pantry. Lounge/living is a comfortable size with split system air conditioning. There is direct access and vista view of the yard area giving a pleasant ambience with lots of natural light. Bedrooms are positioned at the front of the property with the master having a built-in wardrobe. Bedroom two is air conditioned with bedrooms three, four and five being a good size and conveniently located in the home. The bathroom is central to the bedrooms and has a full size bath, separate shower, modern tiling and W.C. There is a second bathroom in the laundry, new floating floor in the hallway, undercover parking at your entrance door, new secure fencing enclosing the front of the property with a quality street appeal. If you have been looking for a large family home or secure investment then this home is a must to inspect, with easy access to all services and link roads to Newcastle CBD, Sydney expressway and Maitland by-pass position could not be more central.